Opening zpizza has been a fantastic, worthwhile opportunity for me, as it has allowed me an ideal balance between being independent and receiving guidance. With an abundance of valuable previous experience, the franchisor has provided me with a strong support system, while allowing me to run my own business. During the preparation of opening zpizza, they shared their vast knowledge and expertise on the products. Additionally, as the business model had already been set up, I felt safe in the knowledge of the available resources. Although, admittedly, there are still a number of risks involved, opening a new outlet has, on the whole, been less risky than starting a business from scratch. I have been fortunate enough to begin a project that has an existing proven business model, and, as a result of the power of the internet, I have had the opportunity to carry out searches on zpizza’s background before signing any contracts. One great advantage of opening zpizza, rather than a brand new business, is that I have spent less time and investment in my business. Additionally, before investing, I was privileged in that I could acquire financial figures from the franchisors, and, in turn, I gained knowledge of what to expect from the beginning. I have been able to apply my analytical skills before opening zpizza by carrying out research on the viability of the business. One vital piece of information that franchisees hope to obtain is the confidence in which the new investment will succeed. As a business owner, my previous experiences have allowed me the ability to sufficiently network –as well as use my connections– to open doors that might not have been opened beforehand. It is a proven concept that franchises have a higher rate of success in comparison to a startup business. As a sizeable amount of work has already been achieved by the franchisor, high-brand awareness and recall has successfully been accomplished. As it is my goal to triumph, I primarily determined how much I would have to invest, how much I was willing to risk, and had to gain a deep understanding of the required initial investment. Before jumping in with two feet and making changes to existing products, it is essential for me to preserve the brand. I continually strive to remain enthusiastic about zpizza, in the hope that this shines through my employees. Recruiting a great team will ensure success for zpizza– by treating employees with respect, offering worthwhile training and challenging staff, they too will exert their passion for the brand. zpizza reaps the rewards of having been tried and tested. Opening a new outlet has ensured that the already successful ideas and operational methods and procedures can be followed. The franchising model has given me access to these systems and procedures, with me only having to make some tweaks based on the setup that I have. Additionally, as brands commonly have franchises all over the world, they benefit from an internationally recognized brand name. 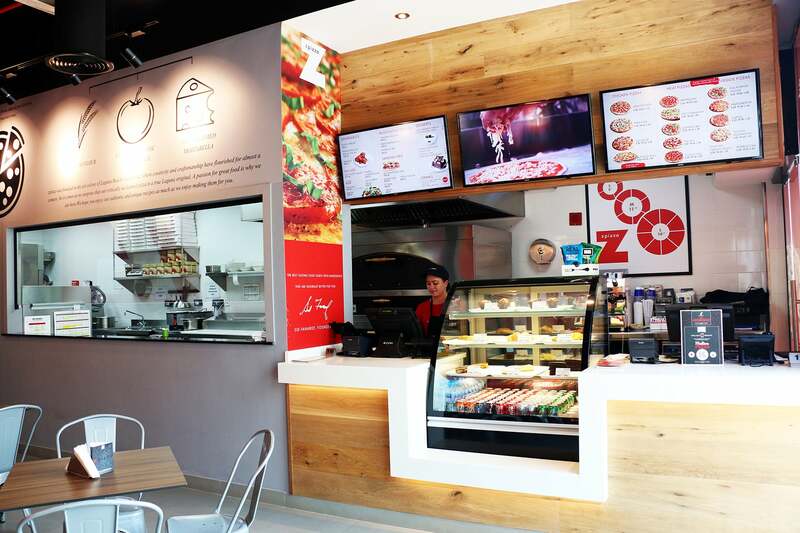 With over 100 branches across two continents –including the US, South Korea, Vietnam, Bahrain and the UAE– zpizza has the benefit of an immediately recognizable brand name, with an established reputation. As the franchisor has previously built strong establishments, I have been able to benefit from these already-in-place relationships. Typically, companies and businesses are always more willing to engage with internationally recognized brands, as franchisees representing an international brand often receive more credibility. This, in turn, makes it easier to initiate a working relationship for the supply chain, as well as helping to gain access to prime locations.